Salam & hello everyone! Wow! It is the last day of 2013 and it is one of the most waited day of my life. Since 2012 itself, I have been praying hard for 2013 to end fast, why? Because it remarks of my final study semester of my Degree. I had enough of study probably haha. A lot of things has happen in 2013 which I felt so blessed. Totally an eye opener to my life growing up in the heart of Malaysia, Kuala Lumpur. My hometown is in Johor Bahru and I live here for my study. Here I want to highlight some of the things happen in 2013, not all actually. Let just trow away the bad things happen and just cherish the best thing happen in 2013. I am grateful for every seconds of it! Hijab. Yeeap. In 2013 I have made the biggest decision of my life which I have been skipping it for years. That is make myself as a better Muslimah. I have completed my self by wearing a hijab starting in 1 January 2013. It was a long story and I have a full reason why I did it and I never regretted it although I have to admit, I have some negative mind towards girls wearing hijab due to some experience I occur in my life. But what I have look at the bright side it that, why accuse others? Why not yourself do what helps others to be inspire and be better. Is what people said, hate the sin, not the sinner. 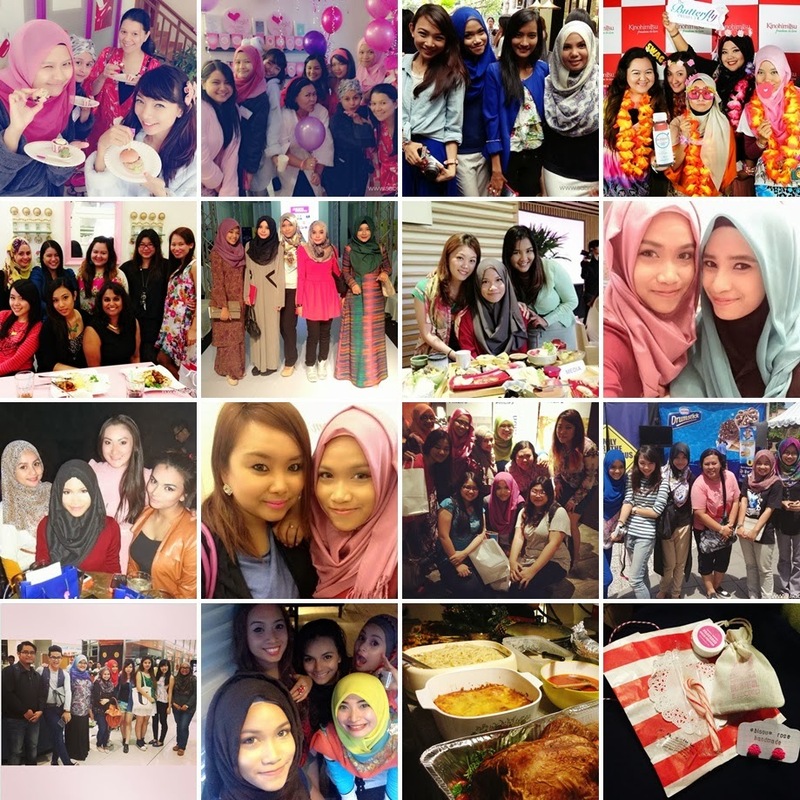 The second picture above shows my first ever event I went in 2013 and wearing a hijab. Its a picture with Illy! Hello Illy if you are reading this! Illy was one of the earliest blogger I know as a friend. Day by day I started experimenting new style of hijab and my favorites. I still have a few collection of hijab and I am now addicted to it. I want more! Hijab make me feel safe and respected. 2013 truly an hilights of my small gesture to this and I am a proud hijaberrrzzz. LOL! Half of me. If you have been following me back, you know there is someone in my life that I can't live without. Of course my parent but he is also one of a man that have been with me through my life for the past 7 years. The one that help to send me to events, waited for me, picking up my package at Poslaju and such. A great start of the 2013 have been kicked with a humble birthday celebration and I ordered him a large cupcake! Also, I get to be with him during his award night to his promotion in his career. It was a remarkable thing happen to him this year which also a big part of my life. He is Mr. T. Another big thing happen to me is finally. I got to reunited and meet all of my high school friends who I have not meet for 5 years. We meet during an Iftar celebration and it was indeed a memories that can't be erase. Thank you to all and you know who you are. This may not be related to my blog but, it is indeed a big thing happen to me. It is. Really. Thank you again. New family members. Again if you have been following me you know I have this addiction towards my cat. Well, I am a cat lady. I have a big fat orange cat named Tubbie which my father bought me during my 20 birthday. He has been lonely for quite sometime so my father thought of getting him a "wife". After months of knowing each other, (Ceh!) Tubbie wifey named Munchy got pregnant. We were overwhelme Allah knows! We all were so excited because this was the first time we are all gonna get kittens!. During Munchy pregnancy, we really take care of everything, I myself cant stop talking to Munchy to be patient and eat healthy. Hello, psycho you here! Then one day, POP! 5 small kittens came out and Alhamdulilah, all of them are safe and healthy! I can cry now! We properly take care of each 5 kittens until they learn to walk and "talk". Haha! But unfortunately, my father could only take care 2 kittens and 2 have been sold and only one left to be given. The kittens were given to the other family right after 3 month where they does not need to be milk feed by its mother. They are awesomely cute and Allah know how I can cry by snuggling them. You can go to to #munchyfantastic5 to see all pictures of them in Instagram! Meeting awesome people. Another highlights of my life would be meeting awesome people that I never image it could happen to me! Before blogging, of course I have a few blogger that I admire and never in my life image got to meet them but Allah Almighty have given me the chance to meet them. In events I got to talk face to face with awesome successful people. Some of them are Cheeserland, Malaysia popular Japan blogger. Meeting a few artist in some event such as Sazzy Falak, Joe Flizzow, Waris, Fatin Suhana, Ieda & Iena Mansor and many more. And one of the most remarkable thing that happen to me is meeting Annie Ford Danielson, the big person behind Benefit Cosmetics. Total idol because one of my dreams is to be like her! Faints! Meeting marketing agency people that gives me opportunity to be better, inspirational people and Allah know better to all of the support these people gave! I'm am beyond speechless to all this! Cant say anymoreeee! My blessed luck. Since I was in school I am a very competitive person. I always go to coloring contest, sending that small "sampul surat" to magazine contest and all. I am pretty much a contest freak. Haha! So yes, Alhamdulilah again, I have won myself a lot of things this year through contest. I have won my self a bag of Benefit Cosmetics goodies, A freaking RM1800 worth of L'Oreal prize, Etude House contest and more! I find myself did really need to go for makeup shopping because I am pretty much stock of it! Hehe. Well again, thank you! Opportunities & Experience. What can I say, Alhamdulilah. Without my blog I never can imagine my self pampered to all this. Sponsorship, products and package to my door step every month. Well this does not come like that, I do really put a lot of effort to come to this. Success does not come with a lift but a rocky mountain. Well, not all sponsorship and stuff is a bed of roses. All sponsorship and sponsors have taught me a lot and totally gives me a lot of experience to be professional and be a responsible person. I got 2 box full of stuff that I can say that I will never ran out of skincare items. Box full of box with a box in a box! Package by packages to be open. Really? Alhamdulilah again! Thank you to all company that have put trust in me and give me all this opportunities. All sponsors have really help me to survive living here in Kuala Lumpur where all things need money. It what people said when you are grateful, God gives you more. The never ending miracle happen to me when I am on my knees asking for help. Ok stop before I cry. I don't really fond taking about what my life really is. Make lots of new friends. The best part of 2013 is totally this. I made a lot of new friends. Seriously? Its like having a group of sisters that treat you like a family! One of it is thank you to Tammy, the blogger behind PlusSizeKitten and also the Mamasan behind Butterfly Project. Tammy is one of the earliest beauty blogger I know and I still remember that time when I saw she won the CLEO top blogger and I personally add her to Facebook just to say congratulations. I really admire her and guess what? We are now like friends and she have gave me lots of opportunity most blogger want to have. Personally, Thank you Tammy. And to all my friends that I have know through events and such though out this year. Thank you for the endless support especially to Sabby who willing to carpool with me to go to events! She does not accept if I want to pay for the fuel!!!! Why you Sabby? HAHA! Anyway, I know she means well, again Thank you. And again to all again, aaaaaaa I can't thank you enough for everything! Some of you even personally come to me and say you read my blog. How flattered I am? I can cry okay! The support, the visits, the comments. I am beyond blessed and I hope your support will never stop here. 2013 have been ended with a warm pot luck celebration with the Butterfly community. I wish all of you a prosperity, happy, awesome 2013 ahead! I can't wait to post my 2014 resolution tomorrow! How your 2013 have been? Wait for tomorrow post! My 2014 resolution! I just finished another paper and upon reading this post, I really feel like I need to be grateful like you as well. Life is sure like riding a rollercoaster. You have so many good memories this year and I pray that you'll continue to be blessed and get to experience even better things starting tomorrow. Hi Sab. 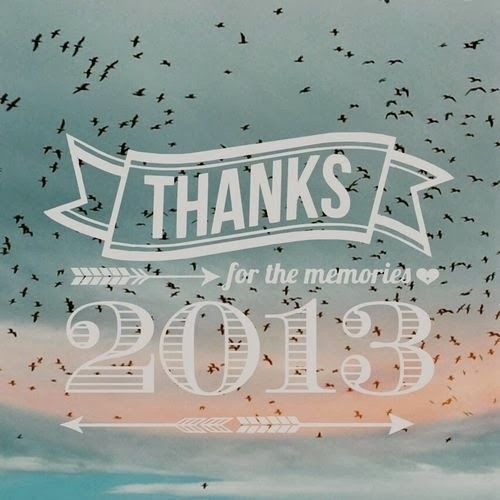 Just an awesome and memorable 2013 you have been through. Hope 2014 will be more happiness and more joys in your life. Stay beautiful Sab! 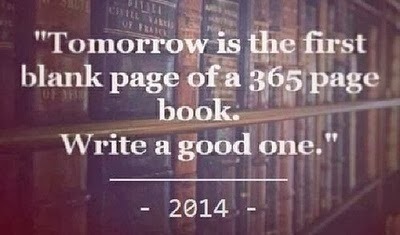 Waiting to read your 2014 resolution! I've seen countless of my fellow friend wearing hijab and it I'm really thankful that you guys found your way to a better muslimah. Kita pn happy kawan ngan awak! hehe.. selalu dtg comment and selalu visit blog sab. Thank you sgt2! hehe, no hal la pasal tu. sab pn mmg saja cari alasan nk masuk Sephora... hehe,.. wah room tour and makeup collection? In sya Allah.. semua selerak lg la... akan di usahakan! Sab.... tak tahu nak cakap apa, tapi satu je, my first impression pada sab memang betul! Sab memang boleh pergi jauh dalam bidang blog. Keep it up girls. Kita doakan Sab sentiasa dimurahkan rezeki dalam apa jua bidang! Love you and love you always! aw... Nanie terima kasih sebab xhenti2 percaya kan sab! terharu sgt! amin.. in sya Allah sab akan usaha lagi lebih. sama2 kita capai sukses! amin! Thank you so much and I really mean it. Your visits means world to me and that is fairly enough. Thank you for the kind words! <3 hopefully soon dear! we will meet one day! i stumbled upon you website when i was doing research on UD Naked. You really helped me decide on buying it. tehehe... one of my best purchase to date. thank you for being humble and stay true to yourself. I rarely follow beauty blog just because they're too overwhelmed with infos and complicated. but your blog is straightforward and reader friendly :) so keep blogging yea! hehe, glad i help! i hope you love that palette as much as i do! thank you thank you, in sya Allah... and I am hoping you will never stop to support me! thank you so much! <3 <3 <3 forever will be ur reader!! happy new year!even though it's already late.hahah! aww.. awk ni sweet sgt la! hehe... happy new year! hope dpt jmpa lg!